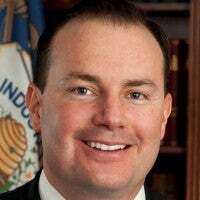 Mike Lee is a Republican senator from Utah. If you work in manufacturing, your job was just put at risk. Last week, President Donald Trump signed an order imposing a 10 percent tariff on aluminum imports and a 25 percent tariff on steel imports. The official rationale behind the tariffs is that a reduction of skilled smelters in the United States threatens national security. Supposedly, we don’t have the requisite domestic steel and aluminum production capacity to build the weapons of war needed to defend the country. Never mind the fact the Pentagon currently uses just 3 percent of our domestic steel output and 5 percent of our domestic aluminum output. The real reason Trump announced higher tariffs on Thursday is that he wants to protect American jobs. This is a worthy goal. Unfortunately, since tariffs work just the same as tax hikes, and tax hikes kill jobs, Trump’s tariffs will almost certainly backfire. As we’ve seen throughout history, imposing protectionist tariffs such as these often have crippling, unforeseen results. If you raise tariffs on a product, the increased cost will get passed on to consumers. These tax hikes will hit loggers in the northwest, farmers in the plain states, and my own constituents in Utah. Utah has many great manufacturing employers like Boeing, Autoliv, and Lifetime Products. These companies will be hit especially hard. According to the Tax Foundation, Utah businesses that import steel and aluminum could be on the hook for over $5 million per year in increased costs. Those higher costs almost certainly would lead to higher prices and lost jobs. Article I, Section 8 of the Constitution gives Congress the power to levy taxes and collect “duties, imposts and excises.” The Founders had hoped that the body closest and most accountable to the people—the legislative branch—would take their constituents’ needs into account when passing policies that affect their pocketbooks. Unfortunately, over the past century, Congress has ceded its duty-levying authority to the executive branch. The president now has virtually unilateral power to decide and implement trade policy. It is time for Congress to take back its constitutionally mandated power to levy taxes and tariffs. That is why I introduced the Global Trade Accountability Act last January. This bill would restore the proper balance of power between the branches of government when it comes to levying tariffs. 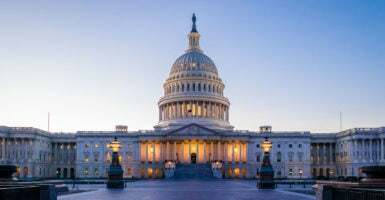 It would do this by requiring all actions taken by the executive on trade—for example, raising tariffs, duties, and rate quotas—to be approved by Congress before they take effect. In a system of checks and balances, this kind of oversight is paramount to our economic and national security. I will work with my colleagues to reassert Congress’ Article I power to make sure these job-killing tariffs are never enforced. At the same time, I will work to pass the Global Trade Accountability Act so that our trade policy is a cooperative effort between the legislature and the president—not a unilateral imposition by the president.